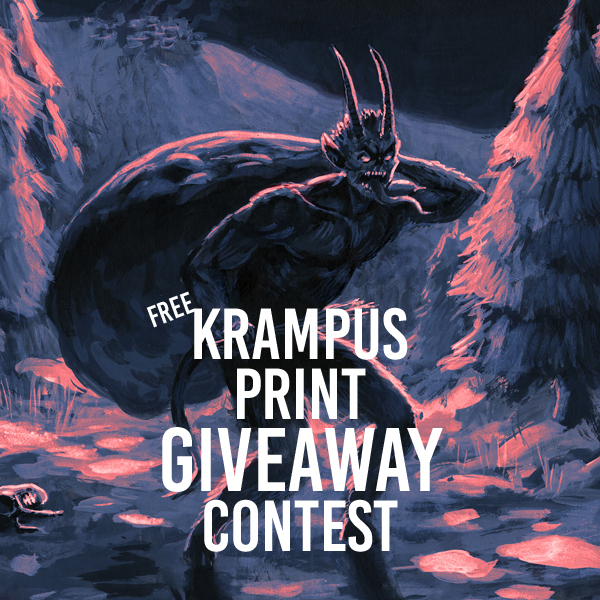 Hey everybody I’m having a giveaway on Instagram for a free Krampus print. How To Enter: Follow @john_vanhouten on Instagram. Repost this image and tag @john_vanhouten and hashtag #freekrampus on Instagram. The contest will run through December 31st and the winner will be announced on January 1, 2016.